Le Terroir Dry Hopped Sour Ale 2015? Yes please! 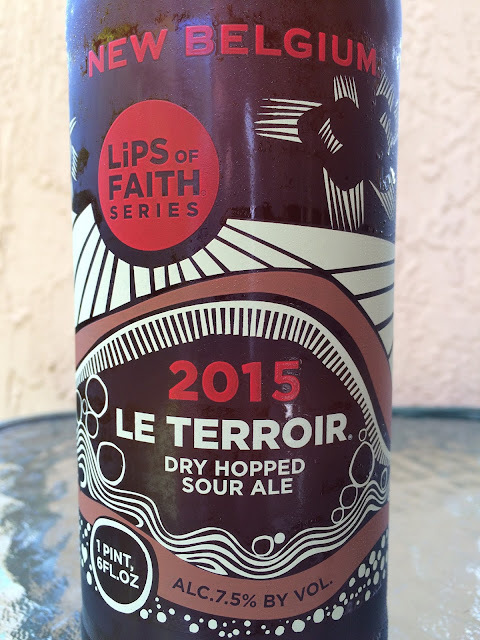 This New Belgium Lips of Faith Series beer is named for the French term used to describe the environmental conditions that affect the way foods taste. 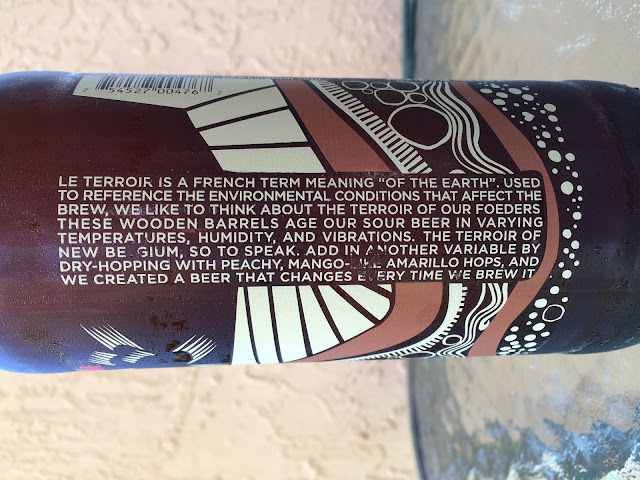 You've probably heard the term in the wine industry, but New Belgium took it and applied it to the barrel aging process in making this beer. Besides the different yeast, temperature, and barrels, this beer was also dry-hopped with Amarillo hops. The bomber art design is pretty cool, showing the terroir around the brewery--wind, mountains, rocks, dirt layers, water. 7.5% alcohol. You will certainly smell the fruity aroma produced by the dry-hopping process. Fresh, fruity, hoppy, lightly yeasty too. 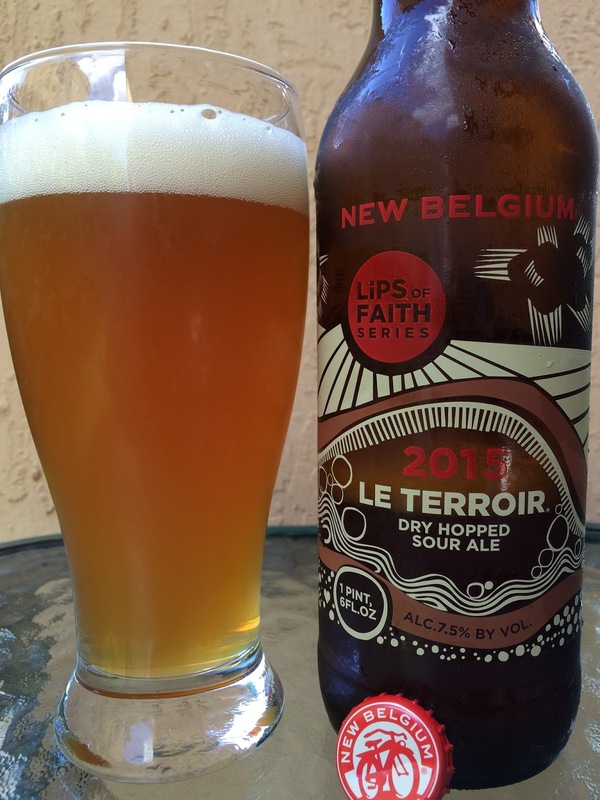 Flavors match the aroma starting off with a touch of tartness, a hint of funk and a more pronounced fruity aspect. Though there is a lot going on flavorwise, each component is itself fairly subtle, a beer full of nuances. Yeasty, brett funk, dry. May I perhaps say Earthy!?! Tangy, candy, citrusy hops. Sweet mango and peach, fruity, especially in the finish. Not sour but enough tart to grab the cheeks and palate. Lightly acidic too. Different, interesting. I'd definitely recommend sharing it as the yeasty tartness started to wear on my palate by the end of Big 22. Actually, I did share it but that one ounce my unconvinced wife tasted doesn't really count! Check it out!